Team building events in Santa Monica are full of great beaches, sunshine and people. Only 9 miles from LAX airport your team can be lounging on the deck of the Fairmont Miramar or Le Méridien Delfina soaking up the sun within minutes of landing. Embrace the joy of cruising along Pacific Coast Highway by engaging your team in a car build rally where you’ll create high octane cardboard vehicles then race for victory. Learn to build a sand sculpture for your team building event on the beach or run around Santa Monica Pier in an Amazing Race. In Santa Monica, teambuilding opportunities are as endless as summer! 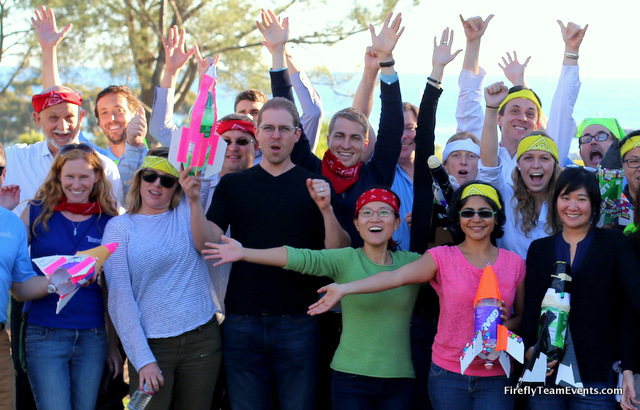 Call us at 877.267.1939 to plan your next Santa Monica team building event or email james@fireflyteamevents.com. Santa Monica Scavenger Hunt – Take your group out to Third Street Promenade and watch the laugh and photograph their way to victory. Using our smartphone app they will complete missions and checkpoints if they want to win. 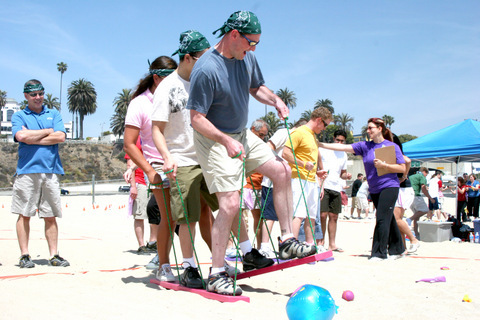 Santa Monica Team Olympics – Your teams will compete in a head to head Olympic style challenge. They will need to communicate, assume leadership roles, problem solve, and trust if they want to win. We can produce these in a local park or right on the sand in Santa Monica beach. Team Graffiti – The City of Angels provides the perfect backdrop for a team graffiti experience. Your group will get a lesson in street art from world class graffiti artists. You’ll be able to use artist quality spray paint to create an amazing mural during your team building session. 26 and a half acres of grass means more fun for your conference. We can plan a high energy Team Building Olympics or an easygoing afternoon of lawn games. If your coworkers need a break after the sales meeting this is the place to go. You’ve seen it in the movies, now check Venice Beach out yourself! The sidewalks are lined with roller skaters and street performers. 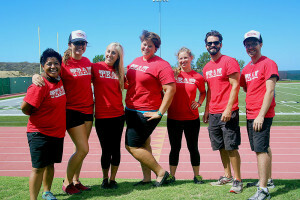 Challenge your group to improve their fitness and use the local body building hunks of Muscle Beach as inspiration. Such a lovely place…and conveniently located too! This beachside hotel is steps from all the attractions of Santa Monica and offers a traditional California experience. This pedestrian shopping experience is the perfect location for some urban team building fun. After an intense team building experience grab a drink at one of the many food spots nearby.